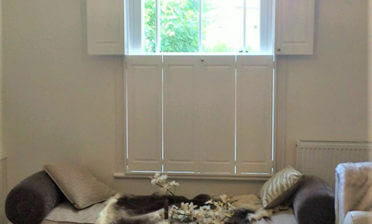 Ben was in Maidstone, Kent to fit some of our special shaped shutters for the bedroom of a property. This large area consisted of multiple windows and doors which access a small balcony. 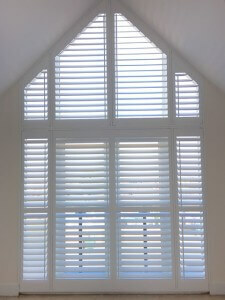 The top section of windows required multiple angled shutters which would not only sit in front of each individual window, but function correctly. 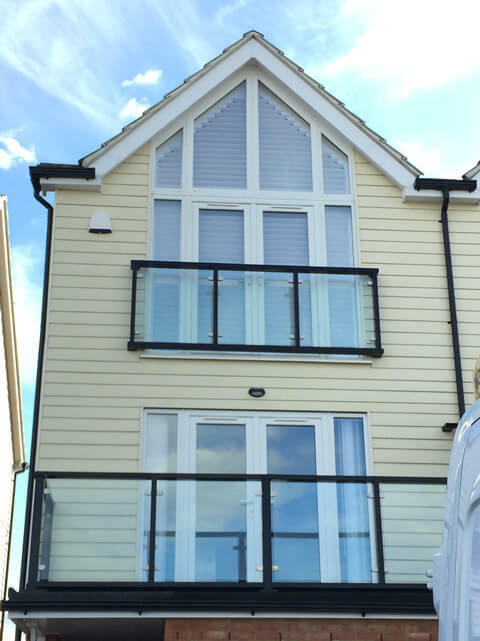 The bottom section also required that the middle two shutters open in a way that will still allow perfect access to the doors behind. We created all shutter panels from our Fiji Range, which is the perfect material for creating unlimited shaping for all types of projects and are suitable for pretty much all environments. 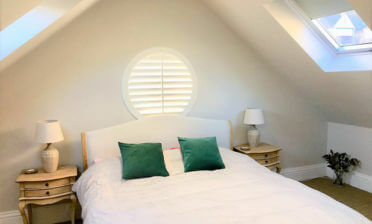 The client was keen to take advantage of how well our shutters can be custom created to fit a window such as this, as they were finding it near impossible to find a window dressing. 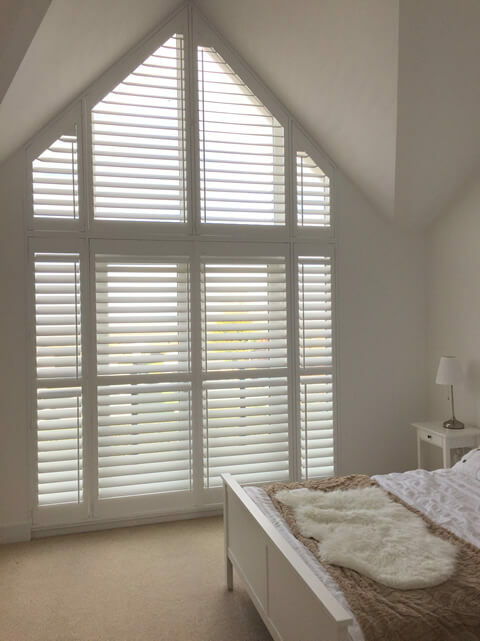 All our shutters can be custom created not only using special shapes to fit your exact windows, but styled in a way which suits your rooms and own personal tastes. 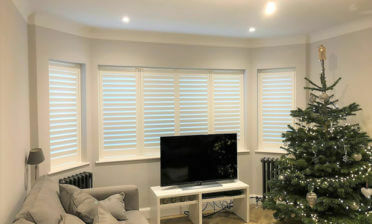 The client opted to have these shutters created with thick 89mm louvres on all panels with offset tilt rods which allow for easy adjustment of the shutters, while keeping the tilt rods partly out of view. 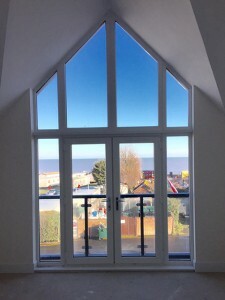 They were finished in pure white with matching hinges which works amazingly from the inside and outside of the property as you can see from the pictures!